AGCMO's annual convention is booked at the beautiful Hilton Branson Convention Center hotel and will feature outstanding sessions, the annual AGCMO PAC Auction, a golf tournament - and many awesome networking opportunities. Confirmed speakers include Missouri Governor Mike Parson and retired NASCAR driver Kenny Wallace. Exhibit space and sponsorship opportunities will be available. Hilton Branson Convention Center Hotel is located adjacent to the Branson Landing and is connected to the Convention Center. The hotel is within walking distance to the Landing retail and entertainment district, Lake Taneycomo, historic downtown Branson and just minutes from theaters, outlet malls and other attractions. Hilton Convention Center is nearing sell out for March 18-19-20. Should you reserve a room at the Convention Center Hotel, a "best available rate" will apply. AGCMO room block rate pricing has expired. To inquire about reservations at Convention Center Hotel, call Rhonda Cady, Reservations agent at 417.243.3402. 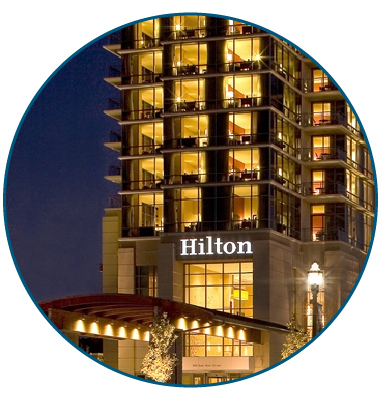 Room block pricing at Hilton Promenade expires March 8! Reserve rooms now! * One (1) Sponsorship Available - first come is first served! * Course staff drives the cart and serves drinks. You ride along. 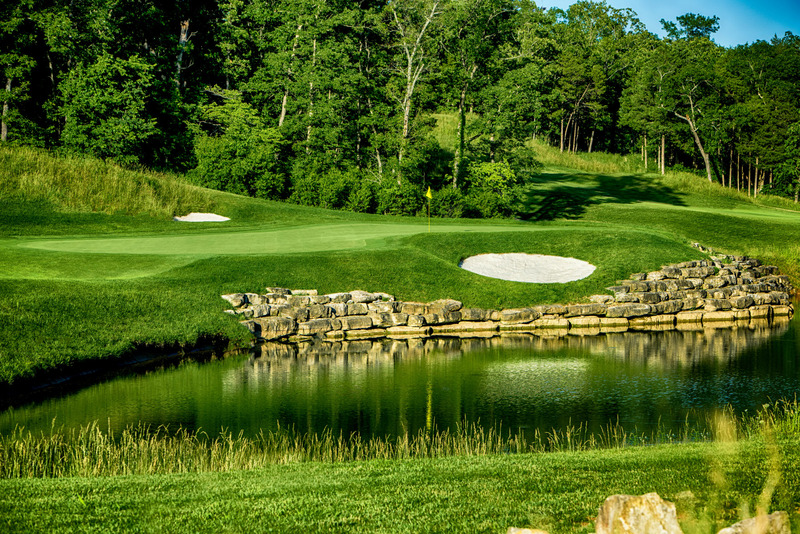 Branson Hills Golf Club is a tribute course honoring legendary Missouri golfers. The course incorporates the natural rock outcroppings, waterfalls, creeks and wooded areas into the design features. Grab a foursome and plan to join us on one of your first spring golf outings! Hole sponsorships will be available. Tee-off is at 11:00 am. Branson Hills is located at 100 Payne Stewart Drive, Branson, MO. Calling AGCMO members ... All aboard the Landing Princess, Branson's only luxury cruise. Join us for a two-hour cruise on beautiful Lake Taneycomo. The Landing Princess is a 100-ft. yacht with glass-enclosed decks which are perfect for viewing the passing scenery. Mixer registration includes two (2) drink tickets and heavy appetizers (aboard the Landing Princess.) Boarding starts at 6:15 pm (via Branson Landing). Cruise time is 6:30-8:30 pm. Don't be late or you will miss the boat! Michael L. Parson was sworn in as Missouri's 57th Governor on June 1, 2018 by Supreme Court Judge Mary R. Russell. He came into the role of governor with a longtime commitment to serving others with over 30 years of experience in public service. It is no secret Governor Parson is an ally to transportation and infrastructure funding and workforce development. He will provide insight from his administration. After lunch on Tuesday, St. Louis native and retired NASCAR driver Kenny Wallace will speak. Kenny Wallace (born August 26, 1963) is an American race car driver and former reporter for Fox NASCAR. He is retired from NASCAR after a 2015 Xfinity Series race at Iowa, where he competed in the No. 20 Toyota Camry for Joe Gibbs Racing in a one race deal. In a career spanning 25 years in NASCAR, Wallace had nine wins, all occurring in the Xfinity Series. Now retired from NASCAR competition, he continues to race on local dirt tracks across the country as a hobby. Kurt is chair of BKD’s St. Louis construction and real estate team. He has been involved in the construction and real estate industry for most of his 17 years in public accounting. Kurt serves individuals, closely held business and private equity group in a variety of industries including construction, real estate, manufacturing, distribution and transportation. His experience includes general tax and business consulting, mergers and acquisitions, succession planning, multistate tax planning and financial statement reporting for income taxes. He also has experience with IRS and similar state jurisdiction examinations. He is a member of the American Institute of CPAs, Missouri Society of CPAs (MOCPA) and St. Louis chapters of the Construction Financial Management Association (CFMA) and Association for General Contractors (AGC). 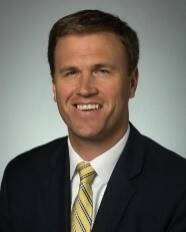 Kurt serves as chair for the St. Louis BKD Foundation Advisory Committee and is a member of the board of directors for Great Rivers Greenway Foundation and Wyman. He is also active in the United Way of Greater St. Louis and several other organizations in the St. Louis community. He is a 2001 graduate of Drury University, Springfield, Missouri, with B.A. degrees in business administration and accounting. Jeremy began his career in public accounting at WK in 2005 and joined the member group in 2016. He provides tax and consulting services for the firm’s individual and business clients and makes presentations to local groups on various tax topics. Jeremy works with insurance companies, closely held businesses, construction companies, and estates and trusts. 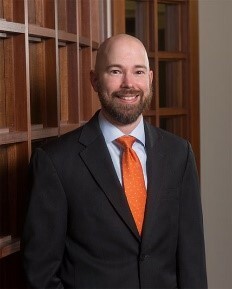 Jeremy earned his bachelor’s and master’s degrees in accounting from the University of Missouri in 2002 and earned a master of science degree in business administration from Penn State University in 2005. Jeremy currently serves as Treasurer of both the Jefferson City YMCA Board of Directors and the Jefferson City Concert Association. Jeremy is a member of the Advisory Committee for Missouri Valley Big Brothers Big Sisters, the Mizzou Alumni Association leadership board for Cole County, and finance committees for the Jefferson City YMCA and St. Joseph’s Cathedral Parish. He is a member of the American Institute of Certified Public Accountants and the Missouri Society of Certified Public Accountants. In 2014, he was recognized by Jefferson City Magazine as one of six “Ones to Watch” for his professional achievements and community service. Kenneth D. Simonson has been Chief Economist for the Associated General Contractors of America since 2001. He provides insight into the economy and what it implies for construction and related industries through frequent media interviews, presentations and The Data DIGest, his weekly one-page enewsletter that goes to 47,000 subscribers. Association for Business Economics, and he is co-director of the Tax Economists Forum, a professional meeting group he co-founded in 1982. This Tuesday afternoon session will answer burning questions about technology, safety, MoDOT, diversity/inclusion, advocacy, human resources, employee perks and retention, recruiting and workforce development, training and labor. You will have the opportunity to participate in several small group discussions, so be sure you and your co-workers divide and conquer. Details are being finalized. Exhibit space will be available for Tuesday, March 19. Exhibitors will set up in the Convention Center Concourse. AGCMO PAC Auction - Support the PAC! A well-funded PAC is essential to a successful advocacy program. The PAC fund balance is cyclical in that it ebbs and flows based upon election cycles. Thanks to the generosity of our members, AGCMO was able to invest almost $200,000 in the 2018 elections and still have a nice PAC balance afterward. We're excited to rebuild the PAC in order to be ready for the 2020 elections, which will include a Governor, Lt. Governor, Treasurer and Attorney General race. Please take a moment to consider making a donation in 2019 - whether you donate an item or make a cash contribution. Our history of donated items is outstanding: special events, home decor, sporting events tickets, guided hunts, electronics, firearms, golf packages, golf accessories, framed prints, etc. We'll even shop for you! No donation is too big or too small. Please let us know how you can help and plan to attend the Auction. The Ritchie Bros. Auctioneering crew will be on hand. For those who want to end Convention with a BANG! A Sporting Clays Shoot is scheduled for 9:00 am on Wednesday, March 20. Practice rounds, 50 sporting clays targets and 50 five-stand shots, as well as ammo and lunch are included. Pricing is $95 per person. Station sponsorship is available at $100 and includes a logo sign at the venue. Ozark Shooters Complex is located at 759 US Hwy 65, 11 miles north of Branson. Contact Cheryl or Darlene at the Jefferson City office, 573.636.3188.